*Polls are open now. 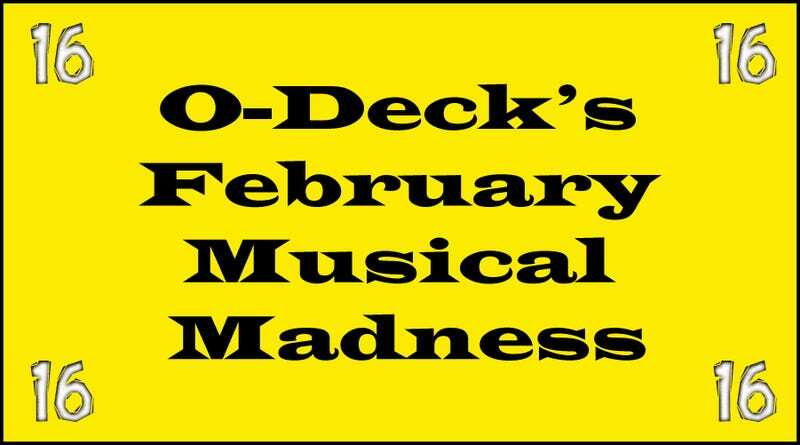 Oops* The musical madness continues as we’ve reached the Sweet 16. We started out with 64 amazing musicals, but in the end there can only be one show left on the stage. Who will it be? Let’s raise the curtain and find out. There were some surprising outcomes as well. Anything Goes fell to Oklahoma! in a tightly fought battle. 42nd Street was trounced by My Fair Lady, and even Jesus Christ Superstar was unable to stop the Chicago juggernaut. We’ve got the King of Siam facing off against the Sharks and the Jets. Witches versus Tradition. A Singing Family dancing around a Sweet Transvestite. And some Cellblock Women confronting the Dusty Plains. And that’s only half of the match-ups. I expect much teeth gnashing and tear shedding. *A note about the tie-resolving last round. A coin toss was considered to decide the fate of The Lion King and Spamalot, but as I couldn’t be considered an impartial referee that option was out. As always, hope everyone is enjoying these brackets.